The Centre is now calling for 2019 regular bookings for all facilities including Weston Creek Community Centre (Hall and Meeting Rooms), Weston Neighbourhood Hall, Flynn Community Hall and Chifley Community Room. Organisations, businesses and individuals who are looking for space for their activities, classes, performances, exhibitions etc. please contact the Centre. At the recent AGM, (see WCCA annual report 17-18, under About Us) the Weston Creek Community Association Inc. has awarded Chad Addison its Life Membership. Chad has been a member of the Association for over 20 years. He is a regular user of the Community Centre, being a squash player. Chad is the current Treasurer and Public Officer of the Association and he has held these positions several times over the years. 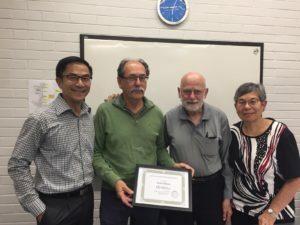 Chad has also been a volunteer at the Community Centre for many years and has helped the office a great deal in IT and other office management matters. The Association and the Community Centre Management teams are grateful for his invaluable and generous contribution. We sincerely hope that Chad will continue to give his time and expertise to help the Association and the Community Centre in their services to the community in years to come. 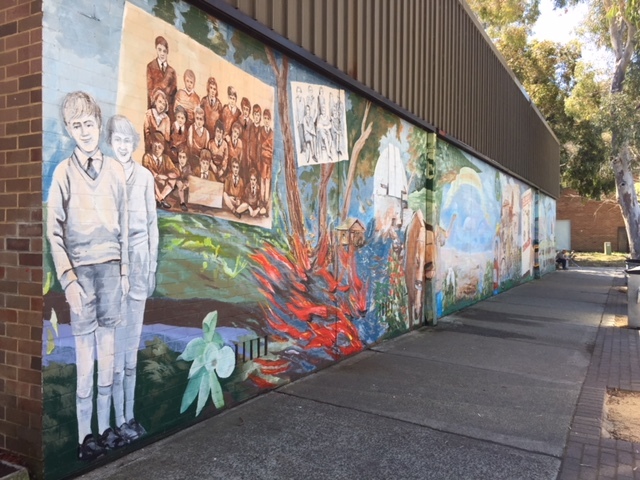 The Mural was restored in October and our sincere thanks go to Weston Creek Community Council and several other individuals for their cash donations to help funding for this restoration work. An additional artwork in the middle part of the Mural to incorporate Molonglo landmark is also being planned. If you would like to donate towards that project, please visit the Community Centre or deposit your donation to Weston Creek Community Association: BSB 062 912, Account 009011775.
http://www.westoncccentre.org.au/wp-content/uploads/2017/10/WCCC-logo.png 0 0 admin http://www.westoncccentre.org.au/wp-content/uploads/2017/10/WCCC-logo.png admin2017-10-25 17:04:122018-01-03 11:30:28Mural restoration complete!